With kids, I often think of summer as the time for hiking and exploring parks. When winter comes, I am inclined to hibernate instead. However, that only leads to cabin fever and we all end up cooped up and stir crazy. 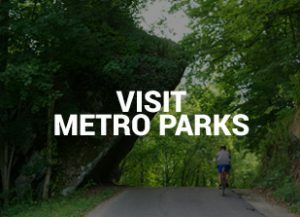 It turns out that winter is a great time to explore our local Columbus and Franklin County Metro Parks. Whether you’re inclined to stay indoors or venture outside in the cold, you can do either and still have an outlet for your kids to release all that pent-up energy. 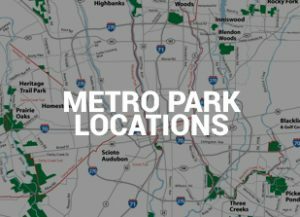 These five Metro Parks offer so much for families during winter. Blacklick Woods has a super fun nature center for kids. Whether it’s playing in the tent, putting on a puppet show or bird watching, your kids will be entertained AND learning about the nature around them. There’s a “tree house,” an area for puppet shows, a kid microscope for viewing insects up close, puzzles, coloring and more. The huge nature center windows look out on the feeders, where birds and squirrels gather in large numbers to eat. There are informational sheets for the kids to identify the wildlife they’re seeing. During winter, Blacklick Woods hosts nature programs for kids, bird walks, winter hikes and you can play outdoors in the natural play area. The Grange Insurance Audubon Center within Scioto Audubon is an amazing place for kids. Each Thursday and Saturday they host a Story Time for preschoolers inside their library. Your kids will love the indoor play area that includes a “cave,” puppets, dress up and a climbing gym. 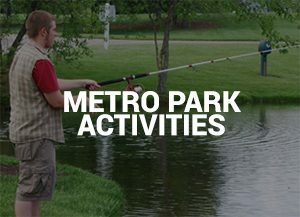 Outdoor opportunities in the park include a playground, paths for walking, a weekly bird hike, overlook decks, a rock climbing wall and a super-entertaining NEOS electronic game. Make sure to check out “9 Things to Do with Your Kids at Scioto Audubon” for things to do inside AND out! The nature center at Highbanks offers a lot of opportunities for hands-on learning and educational play. There are books, puzzles, coloring, matching games, puppets, a “tree” to climb in, a hut for pretending in and a glass covered stream for exploring. There are lots of live animals to view, too. Highbanks offers several programs for families during winter such as Friday Feedings, Story Time and winter hikes. The park also offers programs for homeschooled kids and girl scouts. The nature center at Battelle Darby Creek is one of our favorites and the living stream is one of the highlights. Kids can view live fish and turtles right at eye level. They can crawl “underneath” the stream to see from the inside. You’re even allowed to touch. There are also mounted animals for viewing and pelts for touching. The nature center also has a play area with puppets, books and hands-on educational exhibits. About a half-mile walk from the nature center you can view bison. On select Tuesdays and Fridays, you can take your preschoolers to attend special programs that offer stories, songs and crafts. 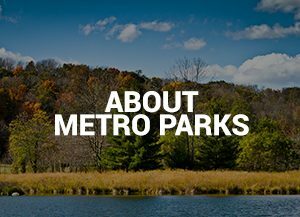 Other winter opportunities at the park include visitors from Ohio Wildlife Center, hikes, and ice skating. Blendon Woods is another great park that offers a nature center with activities for kids, programs for preschoolers, crafts for kids, winter hikes and opportunities for wildlife observation. Upcoming programs also include options for homeschoolers, art projects, animal feedings and ice skating. There are a lot of mounted animals on display inside the center and a separate room where with activities for kids, nature books (for adults and children) and live animals like fish, turtles and a snake. Also inside the nature center, don’t miss the “Please Touch” containers with objects like feathers, antlers and turtle shells for kids to touch and explore or the wildlife viewing area with binoculars available for long-distance viewing. See my blog story Exploring Blendon Woods Metro Park for more info.